By Roads: - Distance of 255 kms from Haridwar by roads and 7 kms trekking route. By Trains: - Nearest Railway st. is Rishikesh. Distance is 237 kms. By Air: - Nearest Airport is Jolly Grant Dehradun. Distance is 252 kms. Route Guidance: - Start Journey from Haridwar and then you will reach at evening in Jankichatti and enroute you can visit the places Mussoorie, Naugaon, Barkot, Syanachatti, Hanumanchatti and then Jankichatti. 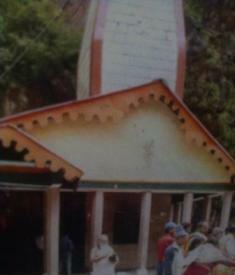 Next day Jankichatti to Yamnotri 7kms trekking route then you will reach at Yamnotri Ji temple. Best time to visit: - May to July 1st and 15 sept to till closing date on November months.